As we head into the summer months, we look for lighter dishes – like salads. 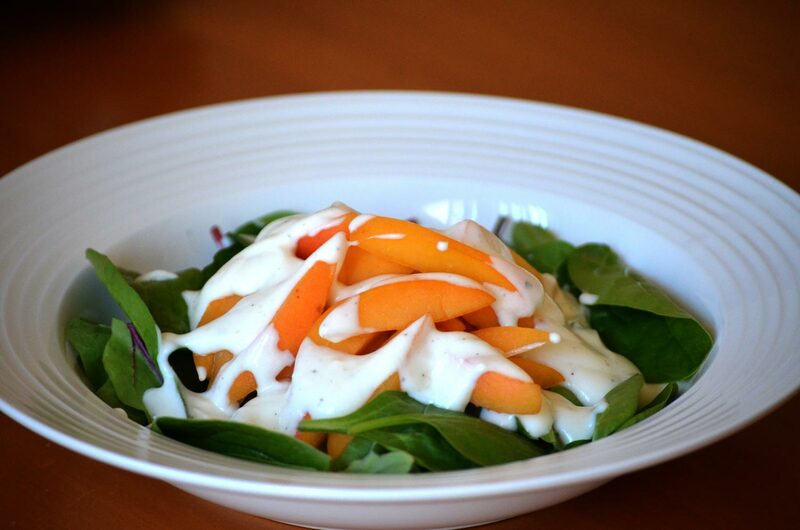 Here is a simple dressing (another Mom favourite) that goes well with salads that feautres fruit (my favourite is nectarines on butter lettuce, but the picture is apricots on mixed greens). Just mix together and drizzle over your salad!